This 4 pack of Transfer Pens comes in a unique, re-closable "screw top" clear tube that can hang on a pegboard or slat wall, and provides a nice storage container. 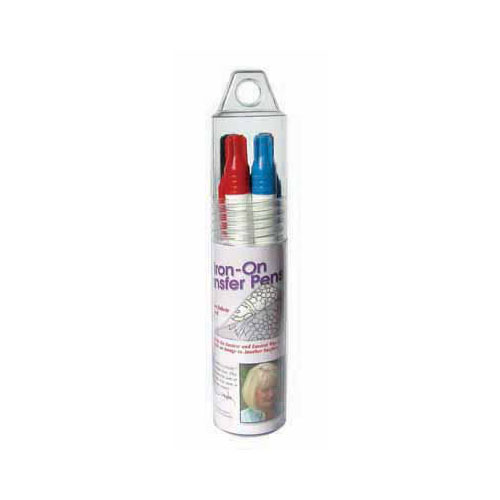 The Transfer Pens easily transfers designs permanently onto fabric, canvas, stabilizers, wood or just about any surface where a hot iron can be used. Perfect for fabric painting, needlepunch, hand embroidery, appliqué, and many more crafty techniques. Black, Blue, Brown, Red.